The quadratus lumborum, or QL, is a key piece of your core. While technically an abdominal muscle, the QL is located deep enough that it has tremendous influence over the lumbar region in your low back. 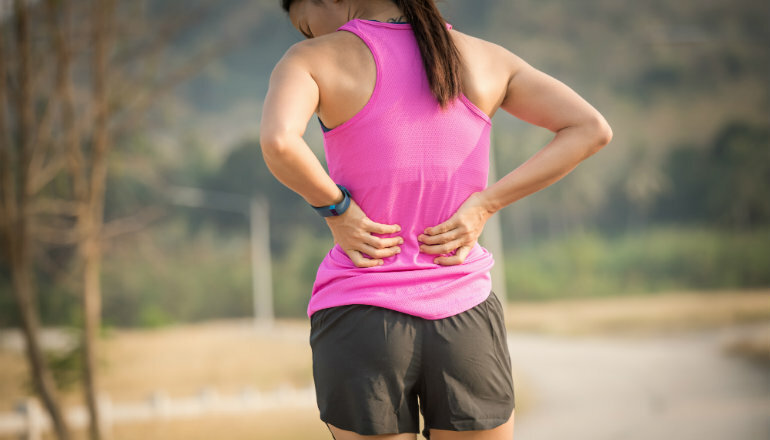 If you are suffering from lower back pain, understanding and caring for your QL can be a major factor in finding and alleviating the source of that pain. 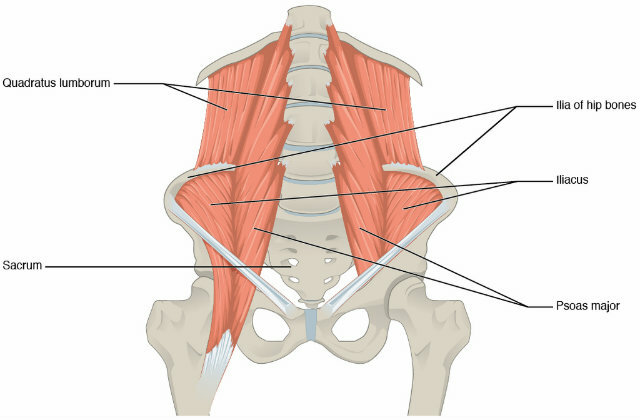 The pair of QL muscles are located at the rear of the abdominal wall and are connected between the inside of the pelvis and the lower vertebrae. The QL comes into play in the function and stability of your spine. It assists in forward-backward and side-to-side flexion and extension as well as assisting the diaphragm during inhalation. Sitting for prolonged periods of time affects the stabilizer muscles of the vertebrae, effectively shutting them off. When these muscles no longer aide in the support of the spine and lower back, then the QL takes up the slack. Which is a job it’s not meant to do. Over time, overuse of the QL results in fatiguing the muscles, tightness, decreased blood flow, and adhesions. This can be compounded by a rounded posture in the upper back (which often accompanies our sitting habit) that causes the QL and its surrounding muscles to work even harder in a seated and standing position. If you are someone who has tight hips and glutes that are not being worked to their full potential, then you are most likely afflicted with an overly tight QL. When the glutes are tight from disuse, the QL will compensate by becoming the prime mover of the hip joint. This results in a gait that hikes the hip upward with each step. Hiking the hip upward in this fashion will lead to compression of the lumbar region due to excessive side bending. The resulting tightness in the QL can be a source of pain in the lower back. Making use of estim (electrical muscle stimulation), massage, heat, and ice don’t often have the desired effect when it comes to a long-term sustainable cure for this type of QL problem. What you have do is really dig into this area with a stretch that can break up the log jam in your QL muscle fibers. But, the QL is notoriously difficult to get to. The usual go-to movements — such as touching the toes while maintaining straight legs, leaning back and swiveling the hips from side to side, and even the classic grousing about the tweak in your back at the water cooler — don’t seem to have any effect on releasing a tight QL. So, today, I’m going to introduce you to a QL stretch that will most likely take you into unexplored territory. Follow along with the video of me demonstrating the world’s best QL stretch. Give it a try, then see if your back doesn’t feel noticeably better. Anatomy graphic by OpenStax College (https://cnx.org/contents/[email protected]:[email protected]) [CC BY 3.0], via Wikimedia Commons.